Although hiding assets during a divorce is both illegal and unethical, this dirty trick is more common than many people realize. To make sure you get the settlement you deserve, you need to have a complete and accurate picture of both you and your spouse's finances. Find out how to handle this problem in this expert interview with David Seror, an attorney with Ezra Brutzkus Gubner LLP. Seror has been practicing law in the state of California since 1975, with an emphasis is on civil litigation and bankruptcy, including cases where one spouse is concerned that his/her partner is hiding assets during a divorce. LoveToKnow (LTK): What are some of the tricks people sometimes use to hide assets during a divorce? David Seror (DS): In general, divorce brings out the worst in people. If there is money or property, couples fight over those items. If they have kids, they fight over the kids. If none of the above are involved, they fight over dishes, plants, or furniture. I even have had couples fight over who gets the 'better' vacuum cleaner. With this in mind, I have seen a spouse pay significant income taxes, often when the payment greatly exceeds the actual income tax debt. After the divorce is over, then an amended return is filed along with a request for a refund of the over payment. In this way, cash that would normally have been divided between the spouses was used for income tax payments, and the refund is not shared. Another trick, especially for a spouse who manages property or a business, is to take steps to devalue the property over time, so that when it comes to allocate the value of the asset, the managing spouse gets the benefit of the lower value. This may include allowing rental property to remain vacant or in disrepair. Another example is to contact a business' customers to defer payments of accounts receivable until after the divorce is finalized. Then when the accounts are finally paid, the managing spouse gets the benefit of the cash, and also the increased value of the business - now with current accounts. LTK: Are there any legal ways for a person to hide assets during a divorce? DS: There are no legal ways to hide assets. Generally, states require each spouse to disclose, often under penalty of perjury, all of the marital assets and liabilities. Willful non-disclosure can be punished. However, the punishment only occurs if the non-disclosed assets are found and brought to the court's attention. To the extent the assets are successfully hidden and not found, little, if anything is ever done. LTK: If I think my spouse is attempting to hide assets, what should I do? DS: The most important thing is to act, and become somewhat of a detective. I would immediately start to gather documents, such as bank and brokerage statements, tax returns, escrow statements, and even credit card and other loan statements. These will show the pattern of income and expenses. I would particularly be cognizant of documents that used to come to the home, but no longer do. For example, are statements from stock accounts now being diverted to an office or post office box? Where are the bank statements and cancelled checks? Normally, diversion of these documents occurs gradually. Also, I would be suspicious if the balance in the joint checking accounts is gradually diminishing, which may show that funds are being diverted to another account. LTK: What special precautions do you recommend if one spouse owns his/her own business? Does self-employment create new opportunities to hide assets? DS: The nonowner spouse needs to be especially vigilant under these circumstances, because a business provides many opportunities to hide assets. Keep in mind, this is often a valuation issue, rather than a disclosure issue. Valuations are expensive to resolve and litigate, often requiring expert accountants and other professionals. This is especially true where the business will probably not be awarded to the nonowner spouse, but rather the value of the business will be allocated. It is especially difficult where the nonowner has not been actively involved in the business. To the extent possible, I recommend becoming involved. Go visit and try to determine how the business is doing. Is there more inventory than before? Are there more or fewer employees? Are the phones ringing off the hook, or is it like a morgue? At the very least, with some knowledge, the nonowner spouse and his or her attorney will be able to ask more intelligent questions about the business. 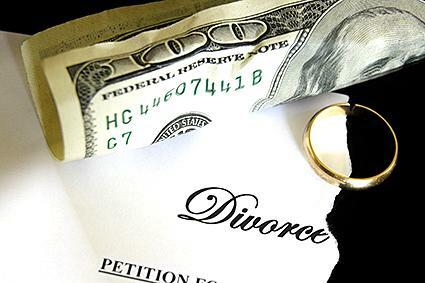 LTK: What can people do to protect themselves financially during a divorce? DS: First, be informed and be involved. Take the time to understand the family's financial picture. Again, are the vacations as frequent and as luxurious as before? Has the check book balance slowly diminished over time? Secondly, hire the best lawyer you can afford. He or she will direct the investigation that is required. Your attorney will tell you if a forensic accountant is necessary, and who it should be, as well as the scope of the investigation. Keep in mind that allocation or division of assets is only one aspect of divorce. There are also issues of child custody and support that should not be ignored. For most individuals going through this process, I think custody and support issues are more important, unless there are specific suspicions about undisclosed or undervalued assets. LTK: How can I find a divorce attorney who has experience in dealing with hiding assets during a divorce? DS: First of all, I would talk with friends and co-workers and ask them for recommendations. Secondly, I would get recommendations from the local Bar association. Also, look in the newspaper for stories about attorneys who have been successful in locating hidden assets. Once you have a list of three or four, it is important to interview all of them and ask specific questions. Have they done this type of work before? How much did it cost? Will they do work themselves, or will someone more junior do the work? Ask about billing rates. Most importantly, hire an attorney with whom you feel comfortable. It's certainly important to be proactive in taking steps to protect yourself financially during a divorce. Following the expert tips provided here can be a great way to become more aware of what to watch for to be sure that your spouse is not trying to hide assets from you and your attorney in such a situation.